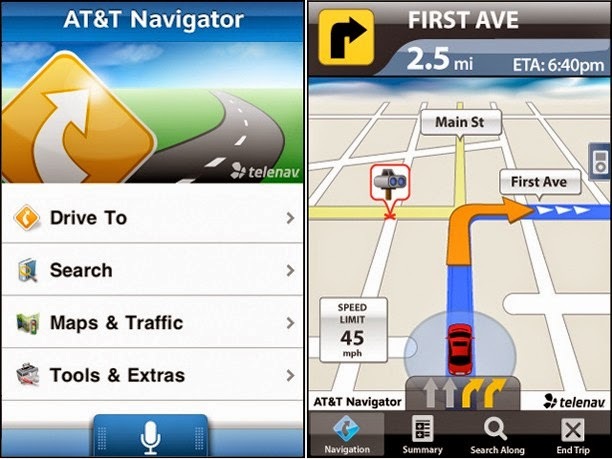 All smart phones come with a navigation app but it might not be of great help to them. If you are such kind of people, then there are several amazing navigation apps to have on your Smartphone. Here is a list of top five navigation apps for smartphones. The one notable feature that makes this app to stand out, Is the audio enabled guidance it comes with. The voice comes with multiple languages one can select from. It is ideal when driving as it notifies one of speed cameras. The images this app displays come in 2D as well as 3D dimensions and it rotates as one drives around. This app is also able to notify one of the routes to avoid. This applies mostly to traffic jams. The app also enables one to save their most desired locations to their android devices for later use That way one does not have to always searching for the directions whenever need arises. This makes it ideal for drivers. Google maps is one of the most commonly known navigation app. Most smart phones manufactures have recommended its use. It is also one of the easiest ways to use GPS app. One of the Special features about Google maps is the fact that it enables its users to have different modes of checking out on their locations. That means one can view the direction or location they need either from a satellite mode or the map view mode. This app also allows one to upload their location as well as save locations/directions to their android phones for later use. Just like the map factor app, a Google map also enables one to receive alerts on traffic. All locations and places like hotels, parking, schools and hospitals can be easily accessible through Google maps from ones place of residence. This app comes free of charge to all its users. This is the most appropriate for people residing in large cities. This app offers traveling guidelines. One needs a profile to be able to use waze, that way it is easy to track down any waze user location from their profile. User s can also upload information on things such as traffic that other users can see. This is another navigation app best suitable for the Nokia gadgets. In addition, other devices are compatible with it like the Apple iOS device. The app enables different modes of viewing like satellite mode, map view and traffic feeds. It offers a strategic audio guidance to its walking users of the pedestrian walk paths as well parks among others. Users are also able to save their locations for later use when in offline mode. The app will show one of the amenities around them like hospitals, schools hotels parks among others. One special feature about the satguide app is its ability to work even on offline mode. This is due to fact that satguide can store all the map information one needs on their devices. This means it does not necessarily need an active internet at all times. It is compatible with an android Google device and the Apple i0S. This means it can also work very well on the low-end android phones. The satguide offers a systematic audio guide to its users on a street level guide. These top five navigation apps to have on your smartphones are among so many others worldwide. Their use is important to ensure one is on the right track especially when driving or walking around in a big city. Their capacity to alert of traffic is also ideal to ensure you do not end up stuck in traffic jams. The author Nicola Williams is from UK. She is a professional content writer and a blogger. Most of her articles include her travel experiences. Her hobbies are traveling, trekking and cooking. Currently she is working on a project Australianvisas which helps in visa assistance.